You have decided to purchase your first home, but are a little apprehensive about the process and not sure where to begin. At The Carlton Company, we have been helping first-time home buyers fulfill their dreams of home ownership for over 40 years. We have compiled this information and resources that will help you get started. 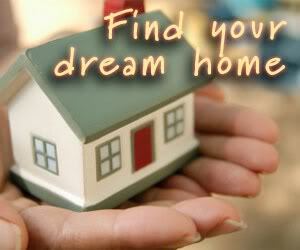 Prospective buyers should first determine that they truly are ready to buy a home. Once that's established, the second thing to do is shop for a loan. Many people, especially first time buyers are afraid to contact a lender because they don't know what to expect. Getting pre-qualified for a loan only takes about 15 minutes and is free without obligation. The loan officer will ask, 'How much do you make?' 'How much do you owe?' and 'What is your Social Security number?' so they can run your credit. Additional documents will be required later, but one 15 minute phone call is enough to get started. Becoming pre-qualified for a loan will also determine how much home you can afford, normally about 25 to 30% of your income. Once you have been pre-approved for a loan, you should enlist the service of an experienced real estate professional to guide you through the process and help you find the right home. Another misconception is many potential buyers don't realize they can hire an experienced buyer's agent at no cost to represent their best interests when buying a home. Agents are always paid by the seller. Once you make an offer on the home and it is accepted, it will go into escrow for the required processing of closing papers, which your Realtor will help you navigate. Once closing has occurred, it's time to enjoy all the benefits and self-esteem inherent to owning vs. renting, including the tax advantages.